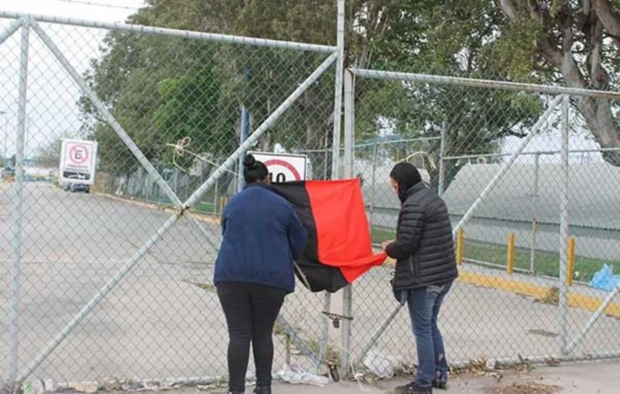 TAMAULIPAS, MEXICO.- Four maquiladora plants in Matamoros decided to close and others have warned that they can migrate to different regions of the country. Carlos Alberto García González, Secretary of Economic Development of Tamaulipas, said that due to this situation 30 thousand jobs could be lost. A strike was initially called by unions of 45 maquiladoras whose workers demand salary increases of more than 20 percent. The Local Board of Conciliation and Arbitration declared itself incompetent to hear 13 cases, since these belong to the branch of the maquiladora industry and must be served by the Federal Board. The head of the Ministry of Economic Development of the State denounced that the federal government is not doing what is necessary to mediate in the labor dispute and achieve a satisfactory solution for both parties. The problem is that external pressures related to the Union of Laborers, Industrial Workers of the Maquiladora Industry, have been influenced and manipulated by the leader of miners, Napoleón Gomez, leftist politician and activist Fernandez Noroña and the work advisor Susana Prieto, who have told the workers to raise their demands for wage increases more than 40 percent. With the presence of the aforementioned people, a serious labor problem has been generated with serious consequences not only to the detriment of the workers, but of the entire society. In 27 years, the maquiladora industry in Matamoros never had a single strike but instead an increased productivity and steady job creation. Daily losses due to work stoppages amount to more than 70 million pesos, according to Secretary García González, who estimated that they could be even higher. 4 maquiladora plants have decided to close, such as Cepillos de Matamoros, Matamoros Packard and two more, which could leave a loss of around 5 thousand jobs. The talks between workers and companies of the maquiladora industry in Matamoros continue, and 14 out of 45 companies agreed to pay the 20 percent wage increase and the annual bonus of 32 thousand pesos that the Union of Laborers and workers of the Maquiladora industry demands. The problem continues with no sights of being solved.